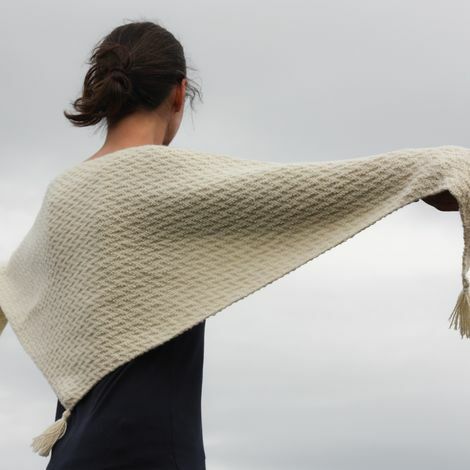 This design uses the long edge to point construction to create a shallow, symmetrical shawl. You start by casting on the maximum number of stitches required and decrease on every row. The design is completely reversible , (very handy with a shawl), although the two selvedge edges differ slightly. An easy meditative knit, perfect for travelling! 4mm circular needle (100cm long). Length of the circular needle reduces as the shawl decreases.